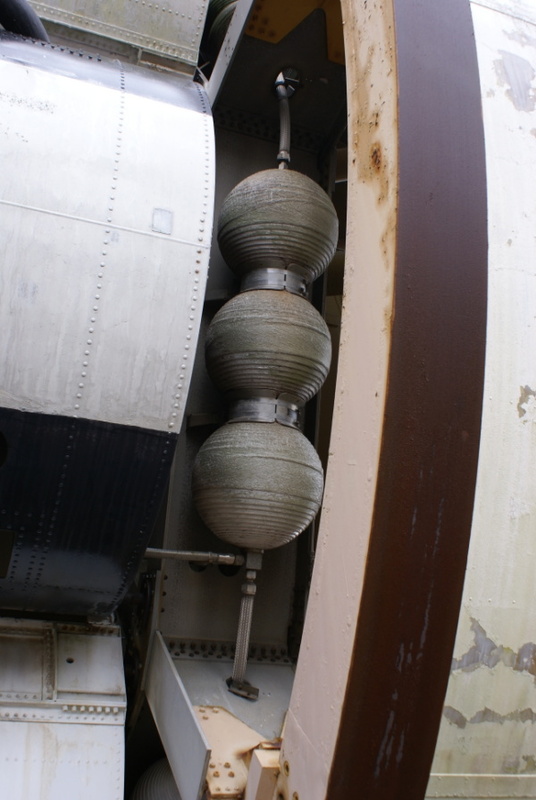 Detail of a set of triplex spheres at tank F-4. Note the flexible hose at the top and bottom, interconnecting this set with the other triplex spheres. I assume that the tubing going into F-4's forward skirt at the bottom of the sphere cluster is the line leading to the pressure manifold.